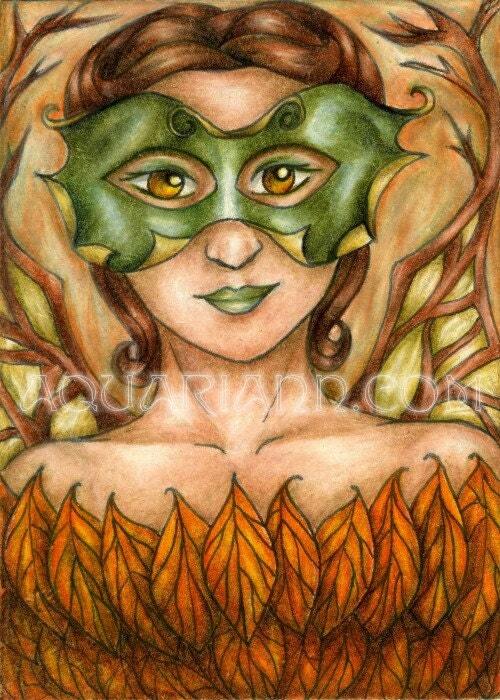 Drawing is inspired by Beadmask's Little Spriteling Leather Mask in Shades of Olive and Soft Gold to the right. Tree Sprite ACEO is inked with black Sakura Pigma Micron Pens and colored with Prismacolor pencils onto Strathmore Smooth Bristol Paper. Leave to Sunday Sketches to see more art by creative souls. Lovely, AQ. Really love the colors. as a lover of green...beautiful. 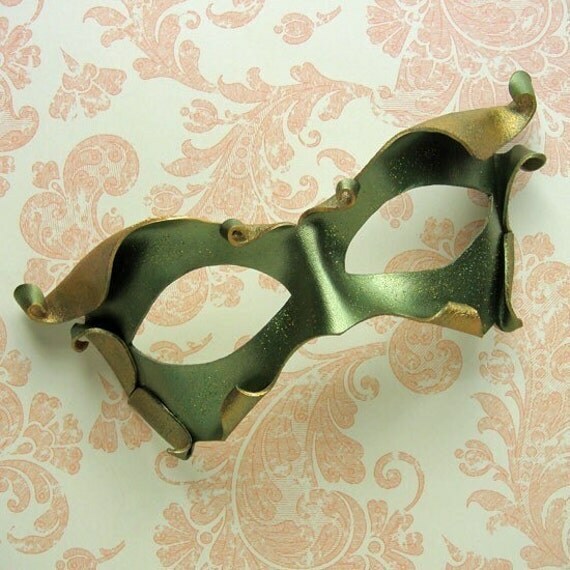 I'm drawn to that beautiful olive mask and matching lipstick, well done. The inspiration mask suits your sprite perfectly, awesome drawing and mask! Love the use of color in this drawing! I love the colours of autumn. Nice ACEO! You captured the mask quite well. You know how to use those color pencils!!!! Excellent color blending and beautiful girl. My favorite part are those leaves--rich in texture and color and delicate lines. Vibrant indeed! Love the feel of this piece. Oh WOW this is fantastic! And such detail!!! Wonderful! I really like the inspiration mask, too. I really love this. I think it is my new favorite!!!! oh i love this! yes, it's all about autumn...i am ready for it! have a great week! oooh super-gorgeous enchantment..Love this..totally my vibe...magical and beautiful! lovely! so fall, your tree sprite, just the looking upon has bought a squirrel to my herb platers as i sit - they are sencing each other! No wonder my deck is always covered in dirt - and i thought it was the blue jays ! So magical, Thx!! I love the fall colors and the cool mask. Beautiful! Yes i am looking forward to the leaves changing! Fall is my favorite time of year - or it would be if it wasn't followed by winter :) Not looking forward to snow. Beautiful work! I am very happy to pin this one! I love the Fire Dragon Art.